SENS™ takes noise cancellation to a whole new level. 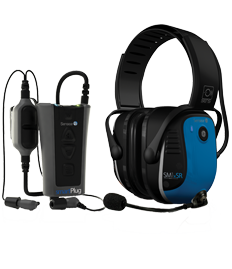 By isolating and enhancing speech while reducing harmful background noise, users can hear speech and stay protected while remaining aware of their surrounding in high noise environments. SENS™ Technology brings low noise hearing experiences into high noise environments by enabling users to communicate effectively, remain aware of their surrounding while protecting their hearing. SENS delivers three critical benefits in the one technology.